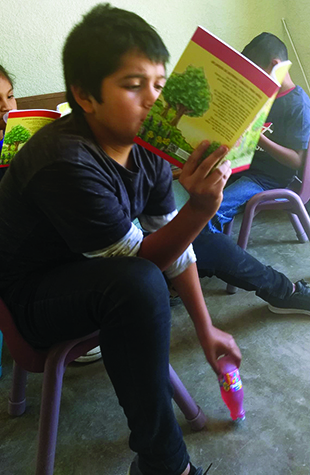 In Tijuana, Mexico, a hungry boy sits down to his breakfast at a Lutheran mercy center and looks through his brand new Bible storybook while he eats. 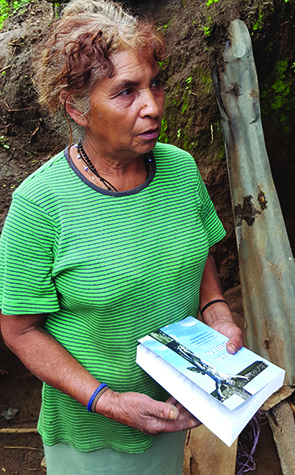 In Guatemala, a short-term missionary hands a Spanish Bible with Small Catechism to a woman who has been yearning to read the Word of God. 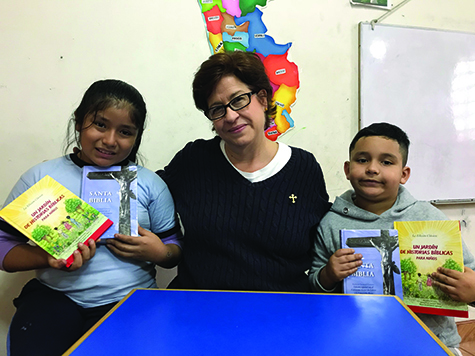 And in Peru, an LCMS deaconess instructs her young students to open their Bible storybooks, where they will begin learning of Jesus’ miracles. All these moments have been made possible by Lutheran Sunday school and day school students throughout the United States who adopted LHF’s “Juan 3:16” children’s mission project. Through their generous mission offerings, LHF has translated and printed A Child’s Garden of Bible Stories for Spanish-speaking children throughout the Americas. The fifth edition of LHF’s Bible with Small Catechism was also reprinted. South of San Diego, just over the U.S.-Mexican border, lies Tijuana, Mexico, home to about 2 million people. As with many border towns, economic and social challenges abound. There is a deep need for the Gospel. 1000 Generations is one ministry center seeking to answer that need, and now they have one more way to introduce families to the Savior: LHF’s Spanish translation of A Child’s Garden of Bible Stories. The problems trickle down to the children, who are often malnourished and roaming on Tijuana’s dangerous streets. 1000 Generations has opened their doors to the youth, providing a meal and the Word of God. Teams going on short-term mission trips often make a big impact in a short amount of time. But how can they continue sharing the Gospel, once the team returns home? Rev. Dr. Russ Sommerfeld, assistant professor at Concordia University in Seward, Nebraska and former president of the Nebraska District, recently discovered that LHF’s books can be the solution. Rev. Sommerfeld and other CU staff traveled to Guatemala to investigate international study opportunities for their students. “Paved roads led up to villages. But as we continued through rural areas, the roads became dirt. Eventually, the roads narrowed to paths up the mountainside, where people live hand-to-mouth,” he recalled. Along the way, Rev. Sommerfeld and his team met men, women and children eager to show him their ways of life. As they parted, Rev. Sommerfeld delivered a precious gift: LHF’s Spanish translation of the Bible with Small Catechism. “There was one woman I will never forget,” he said. “She was about 60 years old and made her living collecting avocados from the trees, about 50-60 pounds each day, and selling them at the market. She was thrilled to get a Bible! Rev. Cullen Duke and his wife, Jackie, are LCMS missionaries in Peru. “We have a mercy house called Castillo Fuerte (Mighty Fortress), where we have after school programs for children who would otherwise probably be left alone while their parents work,” Rev. Duke said. The numbers vary day by day, but on average, the center serves over 40 children per day. On weekday afternoons, Jackie (a deaconess) teaches the catechism to the catechism-aged children, and on Saturday afternoons, she does a Bible study for children before Divine Service at 6 p.m.